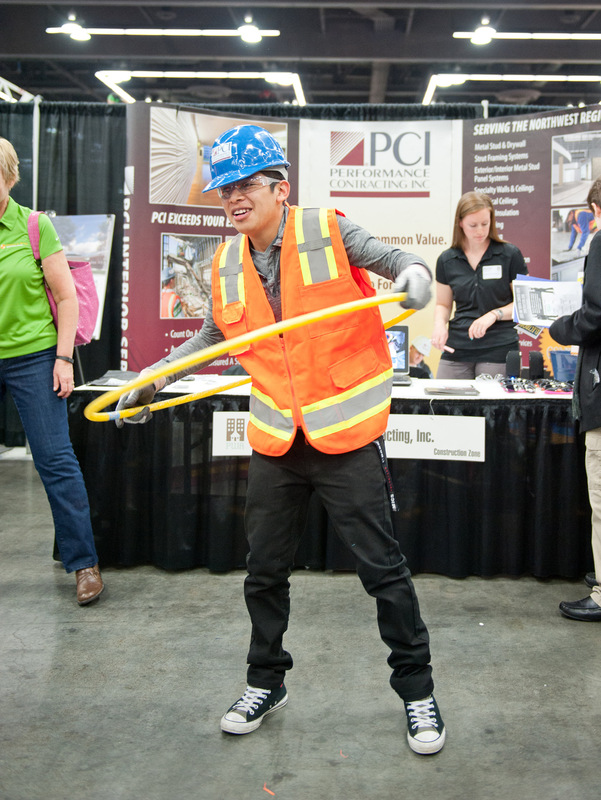 The Construction Zone at the NW Youth Careers Expo is always a big, loud and energetic place where students can learn about careers and apprenticeships while also trying out everything from 3D printers and virtual welding to hula hoops. Students can learn about how to land a paid apprenticeship, and other pathways into the skilled trades. Our exhibitors include the Pacific Northwest Carpenters Institute, the NECA-IBEW Electrical Training Center, the Sheet Metal Institute and Portland Community College. Students can further explore educational paths to great engineering jobs. Oregon State University’s College of Civil & Construction Engineering will be at the Expo, as will the American Society of Mechanical Engineers. So far, more than 6,500 students and 140+ exhibitors have registered for the Expo. Check out our “Meet our Exhibitors” page for additional printable flyers in technology, manufacturing, construction and creative careers. You can also visit our Expo HQ.